i am a faithful honey jar spell caster. -- i am still a intermediate spell worker btw..
• i have heard that a honey jar spell takes longer to manifest but once it starts working, it takes a powerful effect, but is this correct...? • the Lucky Mojo mini honey kit comes in a jar just a little bigger than the size of baby food jar, and i was wondering if it needs to be larger -- that is, will it be just as strong as a bigger jar with honey if the intention is strong? • how should i dispose of a old honey jar that i decided not to use any longer? do i bury it in the ground? Honey jars can have a powerful effect. The size of the jar is not what empowers it, and a small jar is strong, if made right and prayed over from the heart. I like to think of honey and sugar jars as the endurance runners of hoodoo. This does not mean that they are slow to take effect, but it does mean that they are appropriate for long term work, long term projects. They may work quickly or they may work gradually but when done correctly I have seen them work very consistently over long periods of time. The size of your jar is not as important as you may think. The idea is to cover the petition, doll, or other item in sweetness, and since most petitions and bottle-spell dolls are small, there is no need for a large jar of sugar or honey. However, if you are working on a bunch of people, or you know that the jar you are starting may really exapnd then,or if you intend to use the sugar or honey in cooking and want to have an extra amount for that purpose, it's a good idea to start with a larger jar. Since most people do this sort of work on one or two individuals, a small jar is fine. Thank you so much Bri, for your advice. It made me feel hopeful and glad that you stated Honey Jar spell is indeed very effective. For a second, I was starting to l doubt if this was gonna work. One time, my previous jar caught on fire onto my tablecloth when I fell asleep for a moment. I added too much herbs on the lid of the jar so that's what happened. But, I know it must have symbolized something not so good to say the least. Lastly, I've been out of the 4 inch candles, and have been placing a tea light with no metal container and placing them on top annointed w/oil. I was wondering if that is still ok or not. Thank you so much for your kind advice, I appreciate it. One of the important questions about conjure that gets asked when learning how to do hoodoo is what to think or do if a spell goes wrong or a candle burns badly. When things catch on fire on your altar, it can be a sign about the work -- and it can also be the result of carelessness with flammable materials. I have never put herbs on top of my honey jars -- normally the herbs would be inside the jar, inside the name-packet, and the candle would be simply dressed with a conjure oil of the appropriate sort. So, please, don't put flammable herbs next to a burning candle. The same is true for burning tea lights without their metal containers. The wax in tea lights has a fairly low melting point and is designed to melt in the metal container, unlike stand-up candles. Try using birthday candles or some other small vertical (upright) candle, such as Hanukkah or Sabbath candles, that are designed to self-consume utterly and they will not melt all over and make a fire-hazardous mess. Deployment is a way of setting a spell into permanent ongoingness. Disposal (with or without undoing the work) is a way of closing the spell and ritually eliminating the materials used in its construction. If a sugar or honey jar is to be ongoing, you have several options for deployment. You can leave the jar sealed and bury it, take the lid off the jar and bury it to let Ants carry its magical message it all around the world, empty the contents into a hole in the ground and recycle the glass jar, et cetera. If the spell is to be concluded, you have several options for disposal. Burning in a fire -- the most common form of spell disposal -- is not suitable to glass jars or chinaware bowls, so the most common way to dispose of a sugar or honey spell is to wash the contents out in a river, the ocean, or other running water, and bring the container home. The glass may be recycled, but if the container is of value to you -- say, for instance, your regular chinawear dinner service sugar bowl or an intact Mason jar used for canning, you would simply put it back into service without any problem. with the honey jar spell do you continously do it until you see results or do u just burn it that mon, wed, and friday? A court case honey jar (to sweeten the judge and jury, etc) will likely require daily work for at least 9 days before the trial, but may or may not require further work after that (depending on the trial's outcome). In contrast, a honey jar for love may be initially worked for a specific number of days (3, 7, from new moon to full moon, etc. ), perhaps in conjunction with other things, and then maintained with a candle-burn every Friday thereafter. Other honey jars may be worked entirely on an as-needed basis. Did you have a specific situation in mind? i was going to do one for love, because Im not for sure which one would be better laying down sachet powders or the honey spell. I did post in sachet powder also. ...And as described by cat in her recent Mona Magick podcast interview. 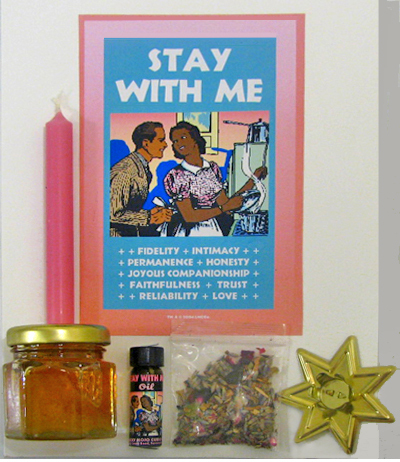 Regardless of whether you do the paired lodestone work in conjunction with the jar, I would suggest working daily with the honey jar for a multiple of 7 days (one candle per day for 7, 14, or 21 days), together with focus on your desire and appropriate readings--the Song of Solomon is favored for love. After the initial intensive work, maintain the jar with candle-burns either once per week (probably on Friday) or 3 times a week, if needed. Hey, cool. Congrats on the spell success. I am not laughing. Your Pixy Sticks sugar idea is not all that different from an idea I have for a love potion I am making up for my mate and I. I chose 9 edible herbs and spices for love and passion (based on the Love Potion #9 idea in Hoodoo Herb and Root Magic) to infuse some olive oil. I want it to taste good so if I need to, I was thinking I would dissolve some Red Hots cinnamon candies in some of it. It's already got cinnamon in it and it's a beautiful scent and the saffron I have in it is making it a beautiful orange-red. I figure that the Red Hots will be a nice fall-back if I want to punch up the cinnamon if the infusion doesn't have a lot of flavor. I am very new to all this, never heard of honey jar. I have used this site only a few times and have learned so much. thanks so much for this forum. i can not believe how much i like it and need it. It takes a lot of volunteers and tech support to run this forum, and i feel blessed that Lucky Mojo has enough friends to help us do the work. In the weeks to come, some of the volunteers who are graduates of my course and who have been posting the most helpful responses here will be promoted to the status of board moderators, for which they will receive Lucky Mojo shop gift certificates at the end of each month. In the meantime, please read about sugar jars and honey jars here in my online book "Hoodoo in Theory and Practice: for details you will need to learn regarding apples, onions, house plants, and candles as employed in these spells. My favorite type of honey jar container are those jars that come from sample perserves. They are small, but have round metal tops on them. I actually do not use honey in my personal honey jars, but blackstrap molasses. I hate honey, so I chose another sweetner. I also like to burn birthday candles on my honey jars, because they burn faster and you can dip them directly into the dressing oil bottles. Hey, that's a good idea! Dunno why I hadn't thought of that before! a) Could I or should i add my and my partners picture's inside and if so in which manner? b) I have 1 or 2 of his hair strands which i have tied with some hair of mine with a red ribbon; shall i use that instead of hers or do i have to add herbs? c) Shall i just work the spell on waxing moon only,or can it be worked during a waning moon? d) With all that wax dripping on the jar, where do i dispose of that wax every time? e) After the jar is already loaded with our names, personal items, and optional herbs, do i dress the candles on top for burning for different purposes, and if so, which oils should i use, for love, selecting from among compound such as Come To Me Oil, Love Me Oil, and Essence of Bend-Over Oil? f) And very finally what are the best tried and done honey jar spells one has done and been really impressed with the results? a) You have a choice: You can place the names and personal concerns of the two of you together in the jar or you can work it by only adding the name and personal concerns of the person you are working on. 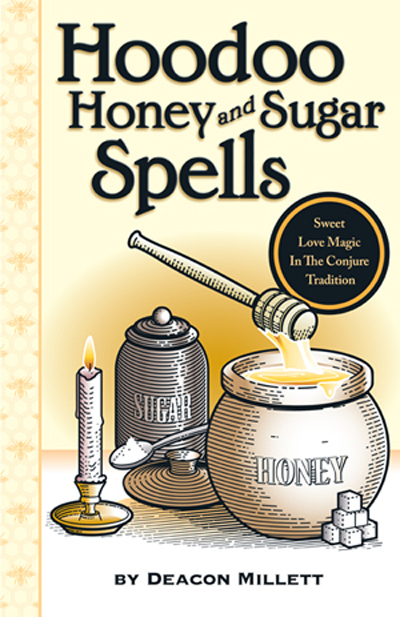 Most people would use the latter method, especially in sugar or honey spells that are not specifically for love -- for instance in a job-getting sweet spell. In either case, put the personal concerns, herbs, etc. in the picture and fold it toward you like you would a name paper. b) Use everything you have. 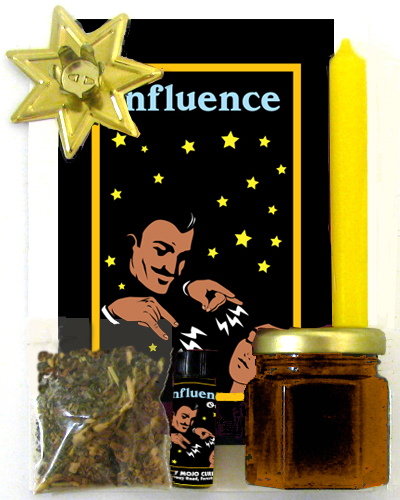 Personal concerns are stronger than a mere name written on paper, a picture can help you focus, and folding herbs, roots, minerals, or zoological items into a name or photo packet adds the powerful spiritual alliance of those curios. c) Waxing and waning moons doesn't matter to everyone, and there are other ways to time a spell, including moon signs,time of day, and according to astrological transits, but if timing your spells by the moon's phases is your traditional way of working, then you may indeed alter your intent according to the phase of the moon, for instance, increasing affection, kindness, and sweetness as the moon grows and decreasing anger, coldness, and distance as the moon decreases in size. It is also just as common to start a spell on a moon phase that accords with your intention (waxing or waning) and to consider that the start of the spell sets the tone for the whole spell, no matter how long it runs. For more information, see the several threads on timing by the moon's phases, moon's signs, eclipses, retrogrades, time of day, and other considerations. d) As long as you're working the same jar, let the wax build up and melt off naturally, and you can read divination signs from it as well. Then you can dispose of it all together at the end. This is one good reason to use bandanas as altar cloths: They can be used to wrap and tie up spells when they're done. e) Absolutely you can dress the candles. The love oils you mentioned are fine, but Essence of Bend-Over is not the sweetest of intentions and may only be appropriate for a honey jar is it is blended with more kindly-intentioned oils. 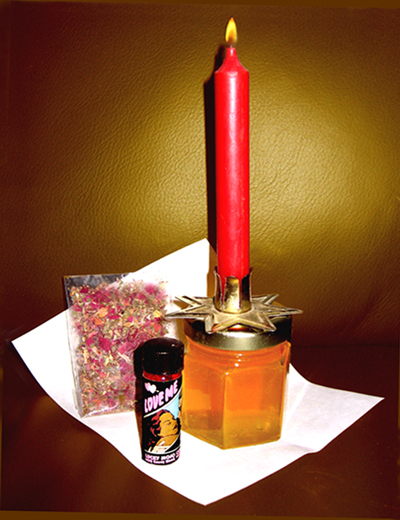 f) Though impressive results are possible, many people report that honey jars are more of a gentle nudging sort of work for them, a base upon which to build other spells, a constant background or helper to other spells, and a tried and true standby for any kind of work where the target is in need of sweetening. I have an all-purpose honey jar, in my case molasses, where I wrote an intention for all good to come my way. I have a strand of my hair (with root) in it, the herbs that work best for me, and my picture under it. I burn all my candles on it. It is actually laden with candle wax, because it is quite old. I use honey jars for whatever I need, especially in regard to court cases, getting positions, and love. Honey jars are my favorite. I am in a daze right now. This morning my honey jar caught on fire. I have been lighting it since August, and have never had this happen. Fire was spewing from the canister where I keep the honey jar, I tried to put it out and the flames ignited and caught some of my hair on fire in the front. I was in total shock. Also this morning, my son became mysteriously ill. He has been vomiting all morning. I know the guy that I am lighting the honey jar for has a woman that has been trying to get him to come back to her. I have been dating this guy for over 5 years. I am now very fearful, but more so for my son. I feel I need some protection. What shall I do? Do I continue with the Honey Jar's risking further turmoil in our life? HELP!! First off take a deep breath and realise that this could be for completely mundane reasons. Sometimes when we are working with fire, things go wrong. It does not always mean there is something magical going on. However as a precaution, you need to start Uncrossing baths immediately, and clean down the house. The items you'll need from Lucky Mojo are listed below. Because of the urgent nature of the work, I have offered you some household solutions you can use until your items arrive (under 'In a Pinch'). Baths are better then soaps, and herbal teas are a bit inconvenient to prepare,but its good to have them on hand for situations like this. I keep a bar in my shower at all times. 1/2 cup of strong black coffee. Lemon-scented detergent to which you have added actual Lemon juice. While commercial products may not have any specific magical properties, in a pinch the strong lemon scent does seem to clear away negative energy. I strongly recommend to my clients to have an Uncrossing kit on hand at all times for situations like this. Dress white lights with Olive Oil and say the 91st Psalm over them. Lucky Mojo's products are superior to the "In a Pinch" solutions that I've offered you above. However, I know that when feeling upset about this situation (as I have felt upon occasion), it really helps to be able to do something right away. Take him to the doctor, forget any magical attacks at this time, and deal with the illness with a professional medical doctor. Regarding the Honey Jar: My gut tells me it is time to stop this honey jar and start a new one, but I'll leave that matter to some of the others who might have additional advice for you. Thanks, Lara for putting this all in perspective for me. I will act accordingly. I do however have a fiery wall of protection candle burning on the altar already. Thanks again for the advice. I second everything in Lara's very good and very quick response. First cleanse yourself, your son (if he is well enough and willing), and your home. Make sure your son is checked out by a doctor. Do protection work if you feel it is warrented, and some form of divination to feel the situation out. My opinion on the honey jar is that sometimes things go wrong with fire like Lara said, but all of this happening at once may be a reaction to some sort of obstruction. It may not be a continuous thing, either, but just a quick stutter. Start another one, and supplement it with any other work the results of your divination suggest. I wouldn't worry just yet, your alertness may be enough. Good luck, and I hope all is well. Thanks J for your response as well. I am a novice to work. I don't think I am strong enough to do it by myself, but I will start the cleansings ASAP. Oh, honey don't worry about being strong enough, we always have strength enough to protect and help ourselves and our loved ones . Without knowing anything about the situation but that it's a red candle (love/passion) on a honey jar, my first thought is that whoever you are sweetening is being drawn/attracted to you; that the jar is working. Do you have any confirmation that this is true? I like the twin flame effect. Depending on how your petition was worded, it could be a good love sign. Catching your hair on fire, however, is a bad sign, indicating inattentiveness or carelessness in a spiritual sense as well as on the mundane level. Honey jars that have been worked a long time become more inclined to catch on fire (they wind up with a lot of wax and wick/herb debris to use as fuel over the months). So that, I wouldn't think of as anything worrisome. Additionally, that your hair caught on fire probably indicates nothing more than that you shouldn't lean in so close to it, counter-spell or not. Now, I can tell you I did once work a honey jar where someone worked a counter-spell against it. What happened, was it burned with an unusually large, hot flame -- odd even for a jar that I'd worked for many months and that had ignited many times in the past. What it did, actually, was burn so hot that it charred the person's name-paper inside. If possible, I might suggest peeking inside the jar to see if the contents look abnormal. If they seem fine then it's probably just a normal wax-and-ash fire. If something's gone strange with the jars contents someone might be working against you. Some very good points, Malefic. Thanks! Do you have any confirmation that this is true? Malefic, I wasn't leaning over the jar. The jar was in my bathroom sink. The flames were quite unusual and when I tried to put it out, the flames grew extremely larger and became very fierce. The flames were tall enough to reach my hair, luckily I turned my head and it only cuaght the front side, and through grace, my face was not burned. It was very scary, not normal at all. All of the fire alarms were set-off in my home. To be honest I had never seen flames look like those did, not even in my fire place. Thanks for your response, I will take that into consideration for future uses. I must make a few comments about honey jars and how effective they are. I always burn one birthday candle on my all-purpose honey jar per day and seen some amazing affects. Recently, I have noticed when I do my honey jar another "old friend" from Facebook will find me. I have been on Facebook since its inception and never had this type of traffic. Now it is true everyone is getting on Facebook, but I notice a major difference when I do the honey jar. All purpose honey jar, whose names/titles/relationship 'tags' do you put in that? Choose a something for the unborn baby to use instead of the name to cross your names in the name paper. ("Our unborn child" perhaps.) You may want to include the names of all your children in order to make it for the entire family so that the older children are included in the sweetening as well. As you are not worried about support at this time, you may choose to leave out the dollar signs in the eye symbols. I personally may leave them in, because money worries often contribute to the worries and anxieties about a new child. (I am still pondering how best to incorporate that in your petition, perhaps others will have ideas.) For the eyelashes above and below the eyes, write "embrace" and "new child". To work around having to eat the sweetener, you can start with an empty jar that you build up with the sweetener of your choice (sugar, honey, molasses, corn syrup) so that you aren't removing any thing. Another idea is annointing yourself with sweetener rather than eating as you say the words. A third idea, if you want to keep up the three aspect would be to remove a token spoonful, but take three "bites" from it for the repetition. I'd use Peaceful home sachet powders to dress the paper and Peaceful home oils to dress the candle and either a blue (peace) or pink (love) candle. You can read about Peaceful Home products here. Hi, i just want to pop in here to thank EcleckticMama for her great suggestions, and to note that the amount of honey one would eat is simply the tiny amount that would adhere to one's finger when poking the paper into the honey -- about a drip-drop's worth. You do not actually "eat" honey from the jar. It's just like licking your fingers after eating fried food, you know? "Finger-licking good!" I was just thinking also that the symbolism of using a baby food jar for your honey jar would be a nice touch too. I definitely would do a honey jar on this. I would mingle your personal concerns with your husband's personal concerns. I would put sumac and clove in the honey jar too. I would use a white candle and dress it with peaceful home. Angel09 wrote: Do I continue with the Honey Jar's risking further turmoil in our life? All of the other aspects aside, I would definitely re-make the honey jar--new container, new honey/sweetener, new herbs, new petition paper and personal concerns, etc. If there were truly significant, solid, personal items in the first jar, I might cleanse and re-use them, but ideally, not. With the new honey jar, I would suggest also including non-caustic protection herbs along with the sweetening / love herbs--basil, majoram, mint, blood root (this last item, particularly as a matched pair of blood roots, is to protect your 5-year relationship by causing others to respect that relationship). Once re-made, I'd first try burning a non-spell-related candle of the same size/height in the same set up where you will be burning the honey jar. See how the flame behaves. If that's fine, then burn the honey jar there with supervision, both from the safety angle (perhaps there is a mundane aspect to the burn set-up that isn't immediately obvious), and for divination purposes on the burn itself. If the mundane factors check out fine, but the jar still burns wildly, a reading or further divination into the matter is likely appropriate. Thank you for the congratulations and the excellent suggestions! I'm still in a state of shock, though. All I can think is that he is going to be so upset- he went through a nasty divorce and his ex uses their kids against him constantly. I don't think he has any good associations left with his own children....sad situation there. I have a question in regards to working a honey jar. This is my first honey jar that I have worked. I am thinking of working a second one for a seperate condition. However, my question is in regards to when you are receiving responses from the jar, and you feel it has reached it's end, do you bury the jar in your yard, back or front? For instance, the jar right now is to aid in reconciliation and rebonding with my husband. We don't plan to divorce, just both are working through so past experiences together that we failed to realize was hurting us subconciously, and when it hit us that we neglected some areas in our relationship, it got really rough for several years, and we were in limbo with what our relationship meant, once we realized we meant the world to each other, it was time for healing, so i use reconciliation as part of that healing the past wounds, forgiving and reestablishing a stronger bond. So, once this has happened, I have thought about how to put this where it will be marked as a victory, and then either start a new one to maintain a constant flow of awareness of where we are in our relationship, so to speak. A few years ago, the homeowner had to do the same thing to another crew of workers and hired back all the good people, so this is happening again, except now my husband is in this situation hoping he will be hired back since he's been one of the few to be reliable and productive. OH MY, I am so sorry this is sooo long! Straight up anyone seeing this in a different light than me? I appreciate it! I have this darn block, that when I am working with other clients, I see clearly and can use my own experiences to help others, but when it comes to me, generally i can do the same, but every now and then, stress creates a cloudy image for me, so I am seeking someone else to see the picture and let me know if I got the idea right. Also, as I mentioned, honey jars are new territory for me! Thanks for lending an ear you guys! Sounds like you should do everything you can for your husband, yourself, and your family. If you really are meant to move again, you can't stop it-- but you should definitely have your say! Depending on what you placed in the reconciliation honey jar, I would try to use part of that to start a new honey jar or other type of spell for continued happiness, peaceful home, etc. When I get home, my wife and I are doing a kerosene lamp along these lines. I've been gone for a year, and we don't expect problems, but I feel it's better to do what we can to be sure! I am experiencing my first honey jar spell. I started this without the chance to obtain my intended's hair! My questions: If the first honey jar is working very well without the hair, should I replace it with a second honey jar that would now have my intended's hair and the oils? Should I make a new one and keep them both going? That was great advice, thanks so much.!!! Your honey jar is working and I would continue with it. The more you work with it, the more powerful it becomes. I just want to point out that you can go back and edit your post to reflect that. Thanks for the info on corrections! I recommend the honey jar kit to those who are new to the site. It is a wonderful way to work. I have started a new Honey Jar and I am trying to understand the candle burns. I placed a Pink and Red candle on the honey jar simultaneously. The pink one burned so much faster than the red one. It was very strange. They were the same size and I lit them the same time, but the Pink candle burned completely out and the Red looked as if I had just lit it. What could this mean? I thought this was very strange. You lit pink for friendship and romance, red for lust and passion. The pink burns fast, red burns very slow. Interpretation: romance and friendship will develop more quickly than lust and passion. So do I! The honey jar is one of my faves. I still havent started my honey jar on my partner. im little hesitant because i dont have his hair and the right herbs. im waiting for them. do u think i shall just start it with his handwriting paper i have? and i think i have his hair -- or is it mine? -- because our hairs are the same colour and lenghth. And i was thinking, Astrial, what did u write in the petition paper? U think i should just go ahead and start the jar, and at a letter stage add the hairs and herbs,or start a new one when i receive these items? Can i do that or is that a bad idea? As far as the other questions about adding another jar later with his hair etc...I would see how the first jar is working by reading the signs as I had..I would assume if you have his hair and yours, of course use those in the jar. I don't believe it best to open the jar and put hairs into after you have started it since everything should be inside your paper. I might be wrong. As far as starting a new jar when you get hairs, I am not sure of the best answer this so I will leave that to the L M Practitioners. I wish you the best and enjoy this work! Also would it be a good idea to add our hair or just his,. You can reopen honey jars, but that is not the best idea. A petition paper focuses the honey jar and I would say is very needed. If you are working on a lover, yes his and your hair strands are needed. If you started a honey jar and would like to change it, I would just begin a new honey jar instead. Thank you again Bri! When writing the names, Do I cross them over each other? Does it matter how I write the names? I agree with Mary. Honey jars should always have some sort of petition paper in them, even if something like money is used instead of parchment, as in sweetening someone that you want money from. They are also key if you are adding multiple people to one jar, as each packet is a distinct individual.